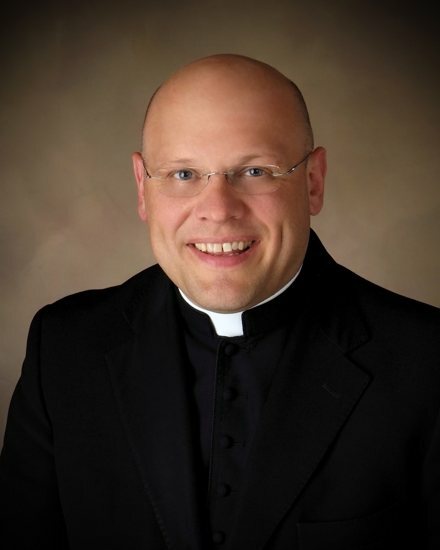 The rector of the cathedral in the Diocese of Bismarck has been named to succeed Msgr. Aloysius Callaghan as rector of the St. Paul Seminary in St. Paul. 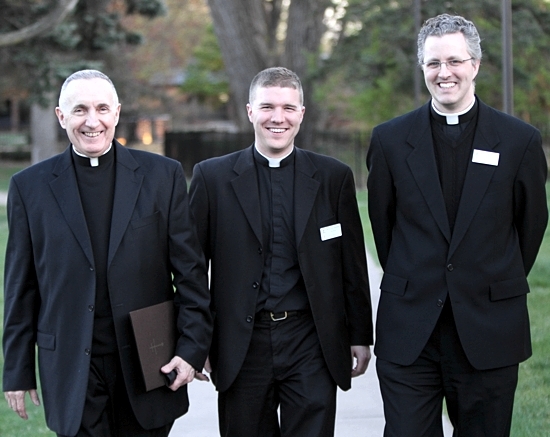 The seminary announced Oct. 1 that Msgr. Thomas Richter, a priest of the Diocese of Bismarck, has been appointed the seminary’s 15th rector, effective June 1, 2018. Msgr. Callaghan plans to step down from his position at the end of the academic year, which marks the end of his second six-year term at the seminary. On Jan. 1, 2018, Msgr. Richter will assume the responsibilities of vice rector and work alongside Msgr. Callaghan to help him transition to the new role. Archbishop Bernard Hebda of St. Paul and Minneapolis and Msgr. Callaghan jointly announced the leadership transition plan for the seminary. According to an Oct. 2 statement, the decision to appoint Msgr. Richter as rector is the culmination of a process that began earlier this year when Msgr. Callaghan informed the archbishop that he planned to retire from the position. Archbishop Hebda serves as chairman of the board of trustees of the St. Paul Seminary. Msgr. Richter, 49, was ordained in 1996 after receiving formation and studying at the Pontifical North American College and Pontifical University of St. Thomas Aquinas in Rome. He has previously served as the vocations director for the Bismarck diocese. He has also served on the executive board of the National Conference of Diocesan Vocations Directors and been a faculty member and spiritual director of the Institute for Priestly Formation in Omaha, Nebraska. He has been rector of the Cathedral of the Holy Spirit since August 2012. “I am deeply grateful to Bishop [David] Kagan of the Diocese of Bismarck and Archbishop Hebda for this opportunity, and I look forward to working closely with Archbishop Hebda on forming men for the priesthood,” Msgr. Richter said in a statement. As rector emeritus, Msgr. Callaghan plans to continue to serve the St. Paul Seminary School of Divinity in advancement and community relations, and he also plans to assume new responsibilities related to the archdiocese’s ongoing clergy support initiative. Msgr. Callaghan was ordained in 1971 for the Diocese of Allentown, Pennsylvania. He has ministered in various leadership positions for the Allentown diocese, including vocations director. He has also served as an official at the Vatican in the Congregation for Religious and Secular Institutes and as an official with the Congregation for Bishops. He also spent a decade as vicar general and moderator of the curia for the Archdiocese for the Military Services in the U.S.
Archbishop Harry Flynn appointed Msgr. Callaghan rector and vice president of the St. Paul Seminary School of Divinity in 2005. He succeeded Bishop Frederick Campbell, now bishop of Columbus, Ohio. Under Msgr. Callaghan’s leadership, more than 170 men have been ordained priests and the Archbishop Harry J. Flynn Catechetical Institute and the Institutes for Diaconate and Ongoing Clergy Formation were established. He also expressed confidence that Msgr. Richter will also “provide excellent leadership to the deacons and lay faithful who study at the St. Paul Seminary School of Divinity” and expressed gratitude that he has accepted the appointment.